Click to join our members email list now! Direct from the seller to your driveway! SportsCarLocate's focus has always been on custom vehicle location services, but we often come across some great buying opportunities that just don't meet our current clients' requirements - these cars we offer as 'Dan's Picks. Our Dan's Picks provide casual buyers fast access to some fabulous opportunities on really nice Sports & Exotics. This personally curated selection of available cars is sourced from the 1000's of Sports & Exotics that come fresh into the open market each week from all across North America. Getting added to this list is not easy, as cars must first catch our discerning eye, successfully pass our initial review and offer what we sense to be excellent overall market value. My name is Dan Conlon and I am the CLO of SportsCarLocate. Since our start up back in 2009 I have dedicated my energy to sourcing our clients the best purchase opportunities available on ownership worthy sports & exotics. If this is your first visit to the site you'll certainly want to learn more about just who we are, what we do and of course you will want to understand just how our unique business model can be of benefit to you in your hunt for your right Sports or Exotic car. I ask that you take a moment to: learn about us. Wow what a great late fall 2018 we had with lots of late season buying activity... unusually strong I would say and this may bode well for winter 2019. The market has now quieted down a touch as would be expected given the snow outside our door, but still fresh stock is being added to daily. We have been seeing that many sellers have adjusted their price points due to the changing weather, so it is a great time to dig in and get serious about your car dreams. Stop looking and start buying! This is our 9th season of operation and we can't wait to hear from you to learn what it is that you may be after. Historically some of the best buying opportunities come flooding into the market through the winter and now that the North America economy is back on the boil we expect sales won't let up to much! If you are seriously looking... don't forget that we are in the marketplace each and every day, so if you are on the hunt please don't hesitate to call or email now to discuss how we may assist you in finding you your 'right' car. Although you may find that many of our current picks are Porsche cars we also custom source other sports & exotics - modern era or classic, virtually whatever our clients desire. So if a Porsche isn't your thing please don't hesitate to call and discuss your desired make/model we would be please to help to source the right car. Important Note: SportsCarLocate is not here to sell you a car. We are vehicle locators 'not a vehicle dealer' and we do not broker, buy, sell or trade in vehicles at any time. Our clients make their own independent vehicle buying decisions without pressure or inducements from us as we have zero financial interest in any car we source. All vehicles listed on this web site are offered for sale by their owners and all agreements to purchase are solely between the buyer and the seller. Fresh Find: Feb 14, 2018 - Nice end of era Carrera! 1989 Porsche Carrera Coupe in traditional Guards Red on Black Leather. Believed to be stock and virtually all original. 114k original miles and recently gone over by the seller's local specialist garage, with no needs outstanding. Fresh Find: Feb 14, 2018 - Love What you Drive this season! As you may already know from my earlier comments on the early 996/911s these Factory Aero optioned cars are a personal favorite and a sub-model that I think will prove to be even more desirable in the years to come. Stunning example we have for you today out of sunny California. Near mint 2000 Porsche Carrera Coupe in delicious Ocean Blue Metallic over Graphite Grey Leather... not normally a big fan of grey interiors but in contrast to the exterior on this car this one works well. Just 46k original miles from new and near unblemished throughout. Lots of recent service and updates including a full Ohlins Suspension Kit and fresh Michelin Pilot Super Sport Tires on each corner. As his car was built in Sept 99 the engine has the desirable Dual Row IMS. Fresh Find: Feb 13, 2018 - Looking for a monster of a ride for the upcoming season? Dinan Stage 3 modified by an authorized BMW Dealer! Impressive condition throughout, BMW Dealer Serviced from day one - clean history car from new! 2007 BMW M6 Cabriolet - V10 500 hp with SMG Transmission - Stage Three Dinan Kit bring power to around 540hp without effecting the original factory warranty. Dinan Carbon Fiber Intake - Full Dinan Exhaust and Dinan ECU Reprogramming all completed by BMW. Please note that as this car was built in 2006 and brought into service prior to March 2007 a Canadian buyer is able to import it without having to pay the $3000. Green Levy Tax! Added Savings! The car's pristine CarFax records document it's 60k original miles with three owners from new and detail the car's impressive BMW Dealer Service History from day one. Fresh Find: Feb 12, 2018 - Love What You Drive this season... and if you buy this one I can't imagine you won't. This is a rare piece given that it has been in the hands of just One Family since leaving the showroom floor some 35 years ago. Love, gently improved and respectfully maintained. 1983 Porsche SC Cabriolet - the first year that Porsche offered a Convertible Roof 911! This car is virtually original throughout with just a few wee touches to modernize the look, having been lowered to Euro Ride Height along with the installation of Aftermarket 17" Fuchs. Original near bullet proof 3.0L with 5 Speed 915 Transmission with the critical Carrera updates completed on the engine some time ago. Just 126k miles on the car from new. Uniquely as this is a dry, hot climate Texas car the owners invested in a major upgrade to the AC comprised of components from the later 964 series cars. Top is still doing it's good and looks good overall, but it is showing some wear. There are reportedly a few minor bumps and bruises but nothing that really takes away from the overall quality of this find. All said a very presentable, high quality driver that runs and performance right. What everyone wants, a straight, clean, dry climate find - very important attributes for any Porsche at this age. This is a very presentable, 'nice driver', quality piece not a low mileage, garage queen. 1982 Porsche SC Targa - a virtually original car top to bottom with one repaint in it's original Blue Metallic on Blue Leather. 130k original miles, numbers matching car that looks good and runs great with no known needs. 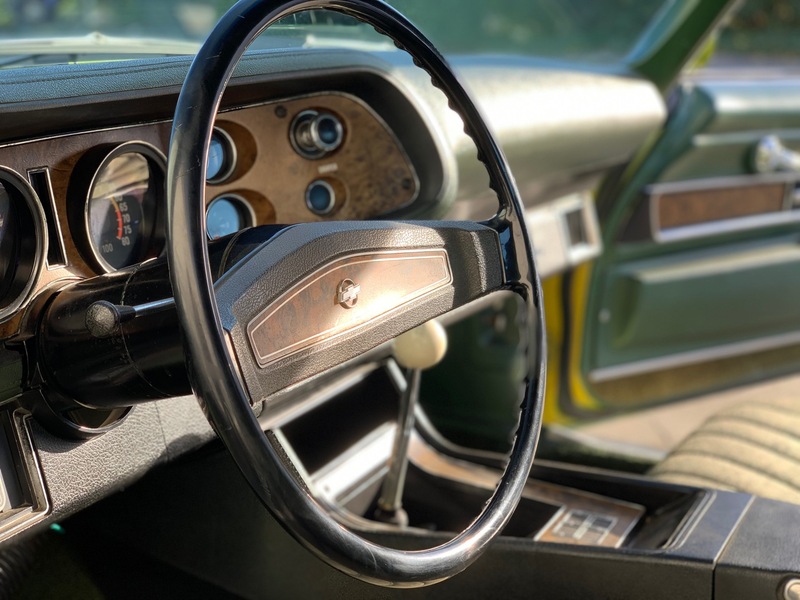 As you can see, a bit of patina on the original leather interior and a disconnected A/C Compressor. Priced by the private seller at $31,000. USD - at the lower end of the spectrum for a clean, ownership worthy air cooled 911. Rare find on it's original Speed Yellow as you just don't see many of these FACTORY SUPERCARS in Yellow! 2005 Porsche Turbo S Cabriolet an end of an era 996 Turbo that Porsche threw the option list at - to build one of the fastest and arguably the best all round performer ever to leave a factory floor. With 450hp on tap and connected to it's 6 Speed Manual and of course AWD these cars in their day were monsters and today they remain able to keep up with near any pack of modern era exotics. Stunning California car from new, and unlike many of this breed, this one has been driven and enjoyed, loved and driven some more. 62k original, dry climate, miles on the odometer with just three owners from new. Pristine CarFax! Dealer offered with full service completed. Given it's time on the road this is not a garage queen, but it remains very presentable and supremely drivable. This standout Turbo S is capable of changing your life as your appearance in this Yellow Beast will never be ignored or forgotten. At $45,000. USD the car is priced well below the norm for this special edition model. These 996 Turbos have been holding their values well and this should prove to be a far less expensive ownership prospect now that it's depreciation cycle has come to the end of the road. Fresh Find: Feb. 6th, 2019 - One of the most desirable Mercedes ever and Porsche built it! 1993 Mercedes Benz 500E - stunningly, rare example being one of only 26 produced in Signal Red and reportedly one of one with Black Interior... all the others had Tan Interior. Beautifully kept and well maintained with lots of recent work, this three owner 500E has been loved throughout it's life. Driven too not left garaged and ignored with 110k miles to date recorded - although it drives and presents like a low mileage car. Original paint on the steel body panels and the lower plastic panels were professionally painted from their original black to match the upper body as seen on the later year cars. All books and records are with the car and it is ready to be enjoyed. These fabulous MB Sedans co-developed by Porsche can move down the road with a great combination of pace and grace! Fresh Find: Feb. 6th, 2019 - One of my favorite water cooled 911s..
2000 Porsche Carrera Coupe with Factory Aero Kit! This is a 60K original mile 911 that has lived out a good life in the southern states and therefore no salt, ice and snow to impact on the quality of the piece. This stunner 911 was factory optioned to the max: Aero Package, Full Leather, Large Carbon Fiber Trim Package, Power Heated Seats, Xenon Lights, Porsche Sport design Rims by BBS etc. Finished in it's original Metallic Black on Black Leather and in truely nice condition throughout with just a touch of patina on the driver's seat bolster. Priced higher than some lesser 99/911 Coupes, but this is special! Fresh Find: Feb. 5th, 2019 - Great find for the Alfa enthusiast! Alfa Romeo has made a great comeback in North America and it is finally getting back some respect it lost over the years. Today we have a very nice, driver quality Alfa out of dry California. 1986 Alfa Romeo GTV 6 - powered by a Busso 2.5L V6 that is not only potent but also sonorous.. one of the best sound in car business. 84k miles from new with a recently redone interior and it runs and drives great. Tuck those bumpers in a touch and adjust the stock ride height and you'll have a beauty. Fresh Find: Feb. 5th, 2019 - Not cheap, but a nice, low mileage 964 is never going to be. Dry Desert Find, clean history, and just one owner since 1992! Gorgeous Guards Red on Black 1989 Porsche Carrera 4 Coupe. As is the case with all of these early 964s it came load from the factory. Always desirable 3.6L 250hp H6 with 5 Speed Manual and AWD. Virtually original throughout and only 47k original miles from new! Hard to find - all correct 964 Coupe, with manual trans and low mileage. Fresh Find: Feb. 5th, 2019 - It may not be all that you may want but it is likely all you really need! Nice dry climate California find, with lots of money invested and records to back up that claim. Less than 4k miles ago over $15,000 USD was put into a professional rebuild of the engine and 915 transmission, again with invoices to confirm the work. Fresh Shocks, Clutch and more. Recent new carpets, Red Door Cards, Targa Top and Seats redone in Lakewell Leather from Belgium. One repaint from new and it still presents well with some minor patina. So all and all a well loved, respected Air Cooled 911! 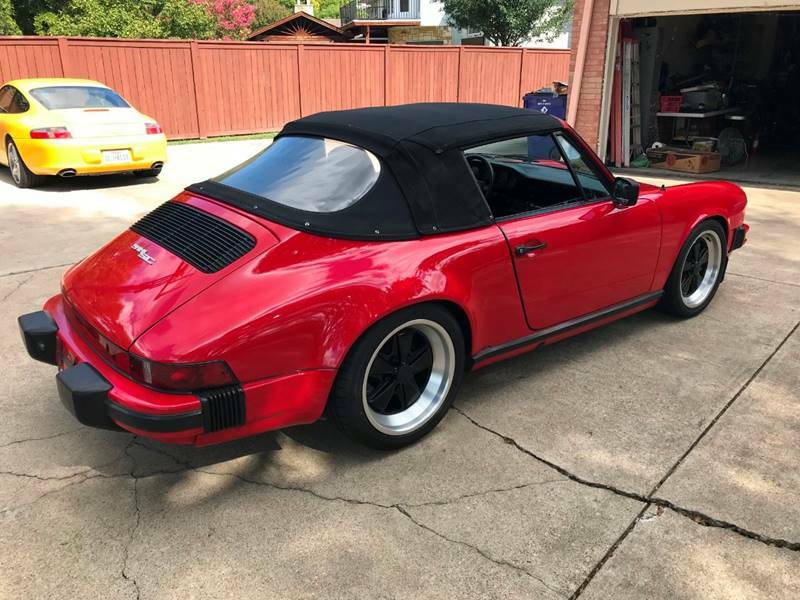 1978 Porsche SC Targa - looks great and drives awesome according to the the private seller. This is a lot of Porsche for the ask of $33,000. USD. Sure you want more.. more power and the like, but do you really need it? Fresh Find: Feb. 4th, 2019 - No not a true sports car, but still something very special! Jaguar XJ6 Coupe... a model that was fairly rare back in the 70's and now some 40+ years later, finding an example as nice as this has become really quite tough. Just over 10,000 XJ Coupes in total were produced for worldwide distribution over a very short 3 year production span with only 6487 being the 4.2L Six model like this, The other were made up of the even rarer V12 powered Coupes and Daimler 6/12 Cylinder versions. This 1977 MY example is to my mind one of the nicest you are going to be able to find anywhere across the globe within range of this price point. It's a given that you see these Coupes available from time to time for less, but those are cars that have serious needs mechanically and cosmetically.. this is not one of those cars! Lots of recent work completed and it comes will books, spares and records. Just 55k on the odometer (believed to be original) and just three documented, loving owners from new. Virtually original throughout.. clearly a quick look around the car will tell you that this this XJC has led a very good life. Yes a wee bit of minor patina, but without a doubt this is one nice piece. Powered by it's original 4.2L Twin Cam Inline 6 with Auto Transmission this is not fast and furious, but it is a truly fun and fabulous way to move down the road at speed. Our research indicates that there likely remains only 200 or so of this model in operational condition in North America... talk about rare! Simply a lovely, unique piece from one of the best of the historic British Breeds, a brand with a long and glorious history in motorsports and a model that has caught the eye of Jaguar Enthusiasts with values quickly on the rise. This is a real winner and it drives and performs as nice as it looks. Hurry up and give us a call as at $28,900. USD someone is going to scoop this up! Fresh Find: Feb. 3rd, 2019 - Love What You Drive for less! This Porsche Replica was built by the best in the business way back in 1987 making it now a 30+ year old classic allowing it to be imported just about anywhere world wide. Very nicely cosmetically and mechanically refreshed and ready to be driven and enjoyed with abandon as although it looks and runs like an original these Intermeccanica Builds improved on the original with stronger perimeter frame, upgraded suspensions, better brakes and more power too. Built to last, not like many of your cheapo, modern era Speedsters. Value Buy at a hard to match price! 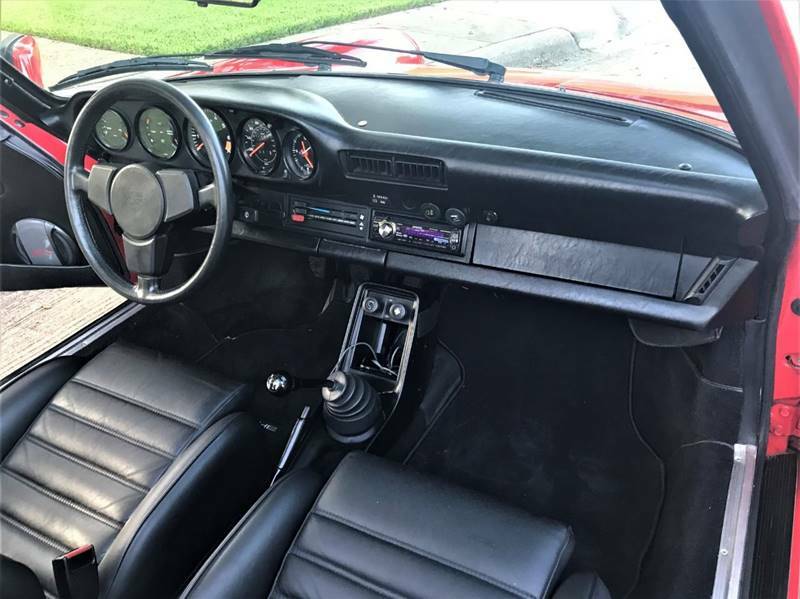 Fresh Find: Feb 2nd, 2019 - This Carrera is well on it's way to becoming the Hot Rod Porsche you have long been dreaming of and as it is priced right you'll have some dollars left to make it all yours. Stunning 1984 Porsche Carrera Coupe - All Steel Wide Body Conversion completed in the 1990's along with 930 Brakes. 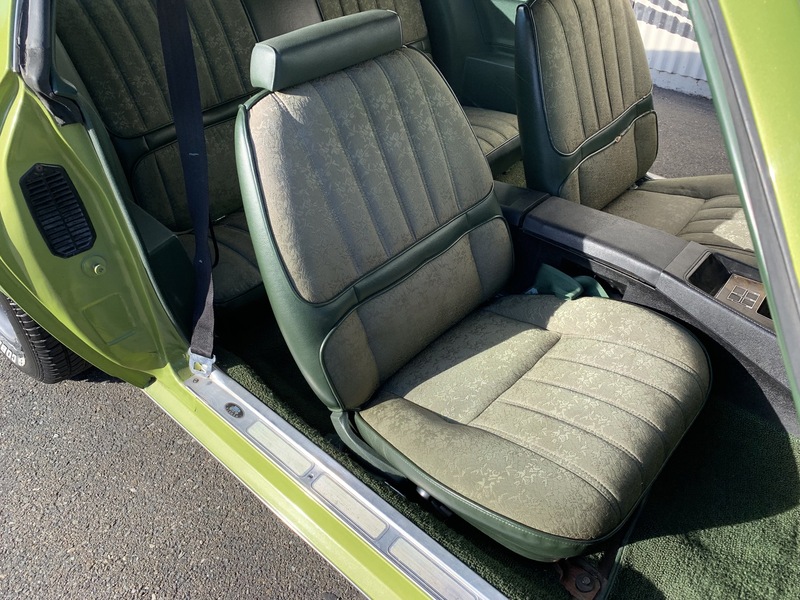 Interior was refreshed with Factory Sport Seats and matching carpets and door panels back in the day. Power is provided by a stock 3.2L Carrera Engine with 915 Transmission. Pictures of the initial body conversion and repaint and partial records come with the car. Clean Title, Clean CarFax with original Blue California Plates. 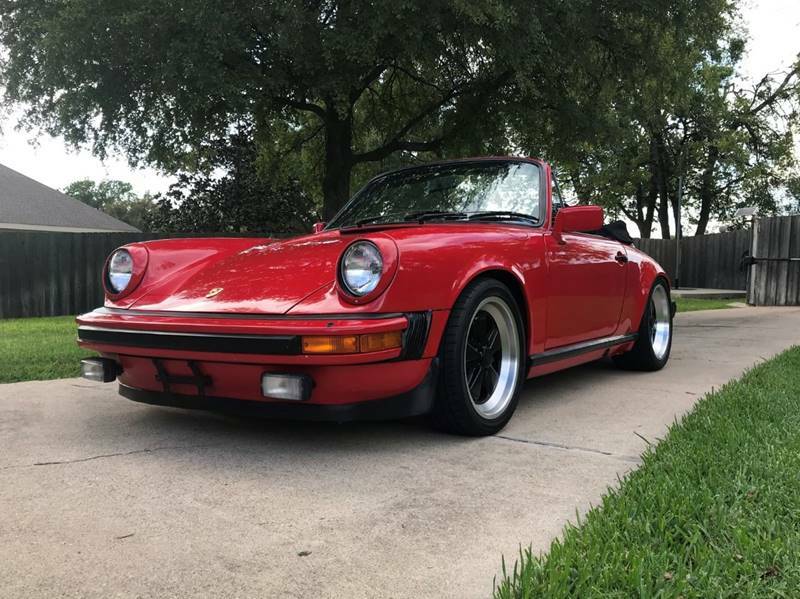 This is not a low mileage, all original car, but that said it is near perfect for anyone wanting to build an Air Cooled 911. Fresh Find: Jan. 18th, 2019 - We like what we are seeing here... looks near all original and the colours are great! 1987 Porsche Carrera Coupe - desirable G50 car with just 76K original miles. Another dry climate California find ready to be repatriated to it's next loving owner... do I hear Germany calling? Rare and stunning Venetian Blue on Blue Leather - impressively preserved by it's long term owner a retired Hall of Fame Football Great. 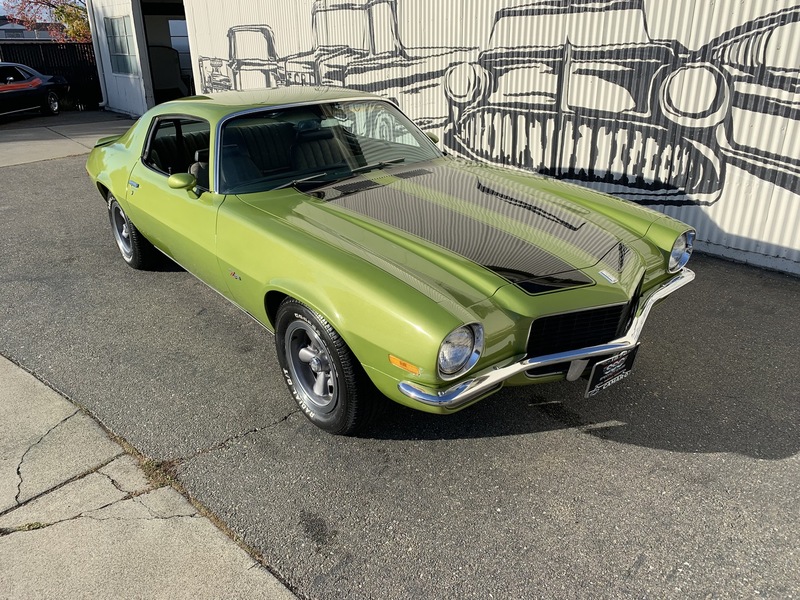 Fresh Find: Jan. 18th, 2019 - Here we are back staring at those California Finds... and if you are an American Muscle Enthusiast we think you'll be hard pressed to turn away from this! 1970 Chevrolet Camaro Z28 - it's reportedly the real thing, not your usual clone. Two Owner Cali car from new with it's current owner having the car since 1975! Reportedly well documented and a treasure piece that has been garage kept and meticulous cared for. Very desirable with the factory 350 V8 with 4 Speed Manual and 12 Bolt Rear End. Impressive, believed near all original preserved condition throughout. Fresh Find: Jan. 18th, 2019 - One quick look and I start to salivate... there is simply something about the Ferrari Dino cars that speak my language. A quick look over and you would never imagine that this design was first introduced in 1973 as the angular appearance works beautifully today and gives the model a sense of modernity not found in much else from the 70's. This was Ferrari's first Mid Engine V8 Powered Road Car and a car that Enzo Ferrari played an active role in developing. This unique wedge shaped 2+2 was designed by one of the Italian greats... Marcello Gandini of Bertone, much to the chagrin of the Pininfarina folks who had been Ferrari's lone designers for the previous 20 years. This we feel is a fabulous example of the breed - ready to be enjoyed, and it is priced right! 1979 Ferrari Dino GT4 - under 3000 GT4 were produced, approximately only 900 were assigned for sale in North America and most of these had a hard life.. abused as a hand me down - not this one! This is a late model example as it was built in the model's final year of production. The car is a U.S. Spec'd piece and it has had just two, long term, loving owners from new! The car's final/second owner was a resident of Hawaii and owned the car for the past 20 years. He lavished lots of attention and an open wallet on the car which is documented by the 40 service invoices in the file from his ownership period. In mid-2017, a full 40k major service was completed which included rebuilding the carburetors, new cam belts, tensioner bearings, new water pump, rebuilt chain tensioners, a valve adjustment, spark plugs, engine and oil filter change, gear oil change, new seals as well as new sway bar bushings, fuel lines, breather hoses, and much more. This 308 is in its original black color with bone leather interior and black Wilton carpets. The seats/interior are in excellent condition. It currently has an aftermarket Nardi steering wheel although the original does come with the car. A period correct Pioneer cassette stereo system with remote in currently installed. I can't imagine anyone ever regretting the decision to add this to their fleet. Fresh Find: Jan. 17th, 2019 - Is there any one out there that wouldn't want a 996 GT3? Finding a good, buyer worthy Factory GT3 is hard as most have been driven hard, tracked and put away wet just a little too often, or they are low mileage pristine examples with price points that are hard to swallow. This one is different as although it looks like a GT3, it's dressed as a GT3, and it runs like a GT3 the factory didn't build it! The car was the creation of a past owner, a passion project for sure by an owner with dollars to spend. 2003 Porsche Carrera Coupe with a Full GT3 Body Kit, Porsche GT3 Rims, Power Factory Sport Seats, Carbon Interior Package and a Vortex Supercharged/Intercooled H6 Engine with GIAC Tuned ECU offering 480hp. GT3 Radiator (3), Big Turbo Brakes, Fabspeed/Eisenmann Exhaust, IMS, RMS, Clutch etc. all done in 2013 - not too many miles ago. Fresh Find: Jan. 17th, 2019 - Its winter and as I often do this time of year... I'm California Dreaming! California to my mind is in many ways a car lover's nirvana as they have the cars, the climate and a auto focused enthusiast population that is near unlike anywhere else in the world. Today's find is a very impressive TR6 - very rare as it is reportedly virtually Rust Free, still wears it's Original Factory Paint and has only 28k original miles recorded. Looks around the market folks and try and find something that matches the provenance of this piece at this price point! 1974 Triumph TR6 - Blue on Blue with Hardtop. 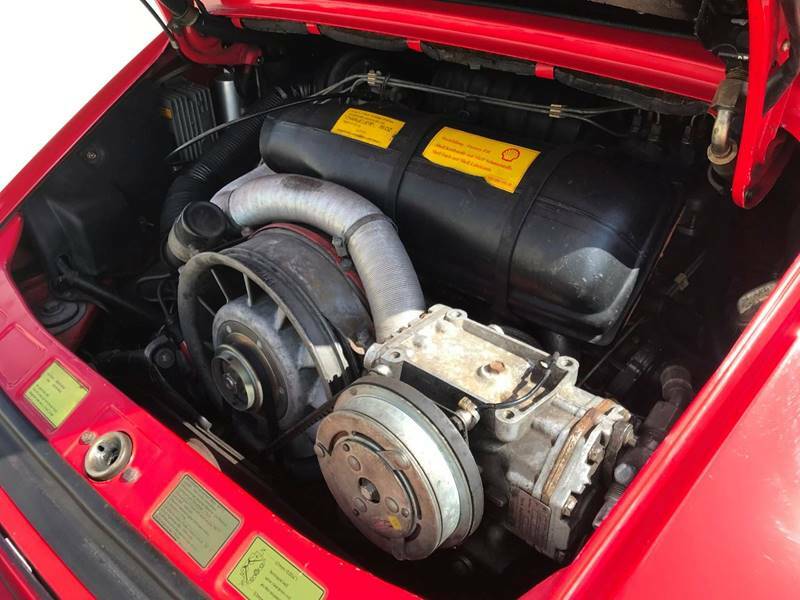 Fresh Find: Jan. 16th, 2019 - It is getting tougher by the day to find 944 Turbo cars that remain in their stock factory configuration and in the condition that makes them worthy of ownership. Today we have a lovely California find - oh that dry Cali climate makes a difference especially at 30+ years of age. 1988 Porsche 944 Turbo - all stock and virtually original throughout with little of the normal wear you'll find on this model at this age... clearly this one has been loved and respected. Very rare for a 944 Turbo as most moved down market and were modified, raced and beaten by the youthful fast and furious crowd! 131k original dry climate miles from new, higher than some but the images tell a story on this one that is hard to match today. Best is that everything remains functional including the AC, Windows, Sunroof etc. and it has no cracks in the dash too. Beautifully balanced front engine, rear wheel drive chassis and the 2.7L Turbo engine is a charmer that pumps out 217hp - more than enough to make this into a blast of a drive. Like so many Porsche models these 944 cars have been slowing appreciating and to find an original one like this at $15,900. USD is never easy. Certainly worthy of a good look over... so call us today! Fresh Find: Jan. 16th, 2019 - If you have been a longtime watcher of our webpages you'll know that we have long believed that the 996/911 era cars have been under valued. Values for this model, we feel, are in a state of flux and pricing has been drifting higher over the past year or so. We believe that one of the sweet spots for the 996 cars is the earliest examples as the look & shape to our eyes is a little more traditional 911. Today we have a rare Aero Kit find and it is nicer than many that we have seen of late. 1999 Porsche Carrera Coupe - Guards red on Grey Leather with full Aero Package plus 18" Turbo Twist Rims. Only 52k original Clean History Miles from New and a well maintained example that comes with invoices for a fresh IMS, RMS and Clutch. Super clean condition throughout with no evidence of wear and tear anywhere you look. Fresh Find: Jan. 16th, 2019 - Impressive One Owner California original. A long time favorite at SportsCarLocate as nothing else in the sports car market packs this much value in such a sweet package! 2002 Porsche Boxster 'S' - it is reassuring to see that other's agree with our view of this model as it was just added to Hagerty's List for cars to buy in 2019. This is a dry climate, one owner original with a pristine CarFax and when you look around the car you know that it has been a piece that was well loved. Near spotless throughout at 70,995 original miles. Great look in traditional Silver Metallic on Grey Leather with a matching Grey Soft top. With 250hp provided by it's 3.2L H6, 6 speed manual, and RWD mid engine chassis it's hard for a 911 to keep up once the curves come along. Fresh Find: Jan. 15th, 2019 - This is near perfect for the buyer looking to complete a Hot Rod 911 Build. Lots of the heavy work has been completed by past owners and with a few sensible, mostly stylist changes this one could tick a lot of boxes. 1982 Porsche 911 SC Coupe - Steel Turbo Look Fender Conversion with the Boxed Rockers wearing BBS Rims in Turbo Widths. Mostly original throughout with the exception of the Turbo Look including a correct original Turbo Tail. 102k dry climate miles to date! Original 3.0L Engine and 915 Transmission were both reportedly rebuilt by the past owner - Pop Off Value and Carrera Chain Tensioners Installed. No Leaks, no smoke, and the car performs as it should. Paint looks pretty nice with fresh body seals throughout and interior minus the front seats is in excellent shape, no cracks in the dash and the carpeting is fresh. The underside is super clean and corrosion free with a dry underside (engine & transmission). Suspension is tight and she rides great with recent Bilstein Shocks installed. Drive it as she is or if it were mine I would remove the Boxed Rockers. 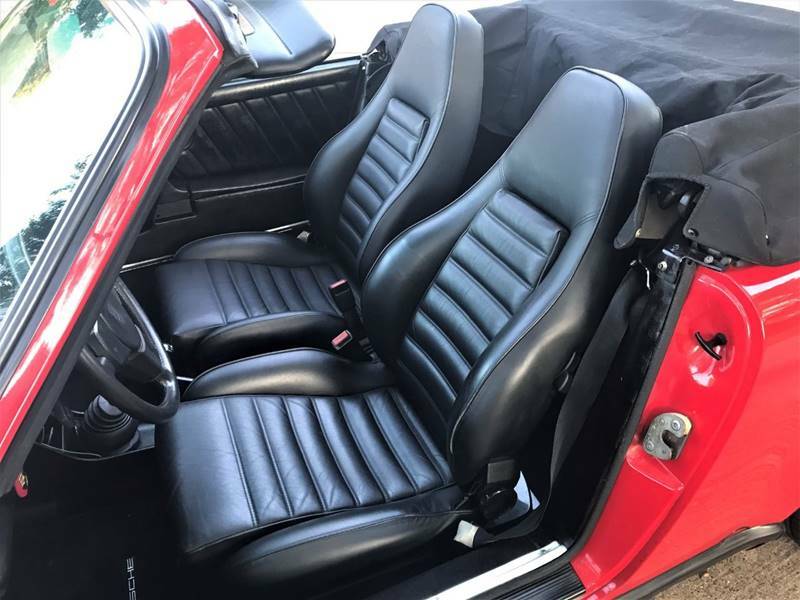 Front seats I would replace with new Classic Carrera Sport Buckets. Mechanically I would leave it be and enjoy as it sits. Of course you could if you wish go in many different direction with your build... all said we think that this is a great platform to start from! 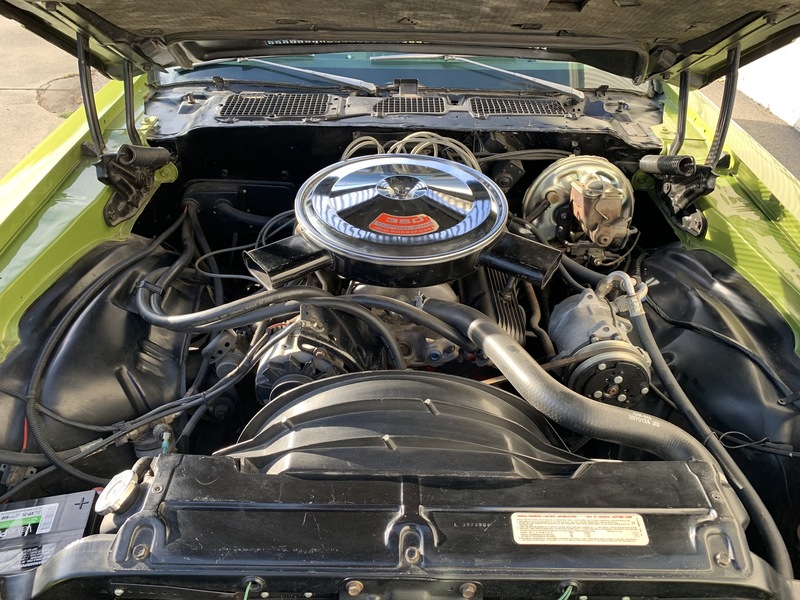 Fresh Find: Jan. 15th, 2019 - I am a pretty firm believer in the 'Buy It Don't Build It' method of sourcing a car, this is especially true of most Classic Muscle cars as the cost of finding a good restoration candidate and then completing a comprehensive build will set you back far more than you may have thought possible. Any one who has done a full resto will understand that it is hard to stop the spending once a project is started and most will spend far in excess of their original budget to get the car completed. 1969 Chevrolet Camaro - 'Yenko Tribute' fashioned to replicate the look, the feel, the sound of what is now near unobtainium for other than the super wealthy collector. Recent Dry Climate, California Build and fresh throughout, packaged like the real thing: excellent running powerful big block engine with four speed manual transmission. 427 C.I. engine. Four speed manual transmission with Hurst shifter. 12 Bolt differential with posi-traction. Power steering, power brakes, disc front / drum rear. New rally wheels, new tires. Edelbrock aluminum intake, Holly carburetor, Hedman headers, Flowmaster mufflers. Paint and brightwork in very good condition. Interior vinyl and carpet in very good condition. New wiring harness. Stewart Warner gauges. Fresh Find: Jan. 14th, 2019 - Fly in and Drive It Home? Me and the Mrs. did just that 10 years ago.. bought a Porsche Boxster sight unseen in LA then flew down and drove it home back to Toronto... fabulous memories of blasting through the California country side before adding near 5000 miles as we crossed the continent. This one looks like it may be prime for the trip! 1998 Porsche Boxster in Silver on Blue Leather wearing 18" Boxster S Rims. Just 105k well loved miles and it is being offered by the private owner as another Porsche is on the way. Garage kept, well maintained and the seller promises that not will not disappoint. I sense that the seller's sentiments may prove to be true if you are realistic about what to expect from a $6,700. USD Porsche. It won't be a perfect Porsche at this price point, but it will likely prove to be a fabulous holiday and a real value buy! Fresh Find: Jan. 14th, 2019 - For those that understand the value of the real thing! Not a clone, not a fake and instead it is reported to be the rear thing... un-restored with one repaint in it's factory original 'Vintage Burgundy'. A true garage find that was discovered in an Old Man's garage after being parked in 1978! This is a true survivor, not a restoration piece The Mustang remains true to all of the codes on the Door Trim Tag. Vintage Burgundy, Parchment with Burgundy interior, 289 A-code, 4 spd, San Jose, California built, 3.00 diff. The car is very straight and the doors close with that thump that only an un-restored car has. There are some minor chips, scratches, and dings. It has a small dent in the rear panel by the taillight from when the man's 16 year old daughter snuck the car out one night in the early 70s. The Mustang reportedly runs and drives well, starts right up and settles into a nice, smooth idle. The brakes have been re-done and the fronts are factory disc brakes. The four speed shifts smoothly with Factory shifter. Still shows well throughout, but certainly could be brought up a few notches with a little further investment. Dry and Rust Free throughout! Sure you can find a Stang that looks like a GT Fastback for similar money but it will never be the Real Thing! Fresh Find: Dec. 21st, 2018 - Another super nice dry climate California 911 Cabriolet. Rare at this age as it is a One Owner from new with a pristine CarFax that details the ownership and the fact that it has been religiously serviced at the owner's local Porsche dealer throughout it's life... 20 maintenance visits to Porsche. 1999 Porsche Carrera Cabriolet - 300hp H6 with 6 Speed Manual and RWD - huge option load including 18" Sports Design Rims in Chrome (unblemished too), Full Leather, Factory Hardtop, Heated Seats and more.. also has and Aero Kit installed with nose, side skirts and fix wing tail. Looks fabulous throughout in Black Metallic on Savanna Beige Leather Interior. 87k dry climate, Porsche dealer serviced miles! Fresh Find: Dec. 21st, 2018 - Sports Car Value Buy! The Audi TT Mk 1 Coupes continue to catch my eye and the eyes of near everyone they pass by. These cars offer modern yet classic design, detailed just right from nose to tail along with impressive on road performance. No not quite a 10/10th sports car in stock form, but still more than enough to surprise and thrill it's driver, I know because I have one. Powered by a potent 225hp Twin Cam Turbo Charged Inline Four with power being fed through a 6 Speed Manual to the very competent Quattro AWD that drives all four wheels. 2001 Audi TT Quattro Coupe - Pristine History Car with just 42k original miles from new (rare for this model) and it looks to be original throughout in Brilliant Black On Black Leather. Minimal wear and tear anywhere you look! Fresh Find: Dec. 21st, 2018 - Nice 911 find out in sunny California today. Heavily optioned 1st year 996... one of my favorites, although I know many enthusiast would not agree with me on this era 911. All said to my mind the combination of performance and market price point is incomparable to any other 911 era today... simply pure value! 1999 Porsche Carrera '4' Cabriolet - special order in Polar Silver on Boxster Red Full Leather - highly optioned with 18" Sport Design - Modular Rims, Full Leather Package, 3 Spoke Wheel, Gauges in White, Porsche Aluminum Pedal Set etc. along with an updated Stereo/Navi System. Just 69k original miles and the dry Cali climate has kept this thing clean as it remains impressive throughout. Powered by Porsche's 3.4L H6 offering 300hp, and in this car it is hooked up to the almost always preferred 6 Speed Manual Transmission... AWD too! These early 996 came from the factory with Dual Row IMS making their engines far less prone to IMS Failure that is all to common with the later 996 cars. The 'GT' denotes that unlike so many of these M138/4200 Maseratis this is one of the very few 6 Speed Manual shift cars produced. Just under 1100 Coupe GT/Manuals were produced during the production run from 2002 - 2006 and these were the last of the three pedal/manual Maseratis ever manufactured. Sadly Ferrari, Alfa and near all of the sports car greats have joined the ranks, as most no longer build Manual Shift vehicles. They just don't make them anymore - hence the ones that have been left behind have become quite special! 2003 Maserati Coupe GT - with just 21,000 original miles from new. Pristine CarFax, virtually all original and as close to perfection as you are likely to find. Very well maintained example with a strong service history at both Maserati and Local Specialist shops. A good list of recent work is indicative of a car that has lived a coddled life and we suspect that it will prove to be one of the good ones! Powered by the Ferrari designed and built... F136R - 4 Cam V8 - a derivative of the F136 Engine found in Ferrari's road cars including the F430, F458, to name a few. Power rated at 390hp, this potent, sweet sounding engine revs to 7500 rpm. The 6 Speed Manual Transaxle is a Oerlikon Graziano built unit and virtually the same as those found in most Euro Exotics from this era. Ferrari's purchase of Maserati back 1997 rescued this storied manufacturer from near death, and Ferrari invested heavily in a new Modena plant with modern era tooling to produce this model, first introduced for the 2002 model year. Developed by Ferrari as a Grand Touring car not a pure Sports Car - Ferrari's focus was different with these cars - less 10/10th, but still the breeding and the vast list of shared parts clearly tell the story... that just under the surface beats the heart of a Prancing Horse! Owing any exotic is not for the faint of heart and the cost of ownership is never going to be cheap, but that said given that this example is now fully depreciated yet well maintained with minimal mileage the risks associated with exotic ownership have been significantly mitigated. Fresh Find: Dec. 19th, 2018 - Higher mileage, but this car has been shown some love! Virtually Original 1983 Porsche SC Cabriolet... the first year for the 911 Convertible. 156k original miles under her belt, but she is holding up beautifully. All original Grand Prix White paint with the exception of minor road rash repairs - never any damage or corrosion. All of the required Carrera Modifications have been completed and otherwise fully stock. Matching Numbers with COA from Porsche. Engine out service summer of 2018 (750 miles since), new clutch, recent professionally refinishing of the original Fuch Rims, and fresh Continental Tires. Fresh Soft Top in 2012. Garaged, loved and totally respected... ready to be enjoyed by a new family. Fresh Find: Dec. 14th, 2018 - Another day, wasted away... California Dreaming! Yes I know, these Thunderbirds were not sports cars, but that said to me at least, they remain a bit of yet under appreciated domestic Automotive Art. 1966 Ford Thunderbird showing 71k miles and impressive throughout. The cohesiveness of the overall design and effort taken to differentiate these cars from the rather mundane domestic lineup makes these 60's Birds a standout. Big, heavy and certainly not as sporty as the marketing literature from that era would have you believe, but still a fun ride with 345hp on tap from the Q Code V8 optioned in this find. Gorgeous, dry climate, California original in Pale Yellow on stunning Ivy Gold Interior. Fresh Find: Dec. 14th, 2018 - Is this one perfect... we doubt that, but still all told this will be hard to match! Impressive Southern California find - dry climate car with just 117k original miles on the odometer. 1986 BMW 635CSi - no not the more desirable M6 version, but close for so much less. Powered by the always lovely M30 Inline Six - 3.5L offering 182hp connected to the very desirable 5 Speed Manual. Impressive overall in Red on Beige Leather, note the very nice condition of these M Sport Seats! Updated BMW Alpina Style Rims, otherwise stock. Just three owners from new and it passes Cali smog (always good to hear), runs and shift well with no Idiot Lights lit up on the dash display.